The juice from a fresh tangerine that can be consumed as a beverage or used as an ingredient. It has a sweet citrus flavor and is the same color of orange as the flesh of the tangerine. 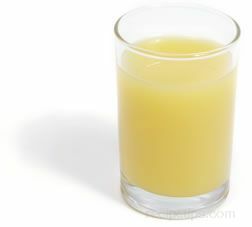 The juice is best when fresh squeezed but is also available in a frozen concentrate.